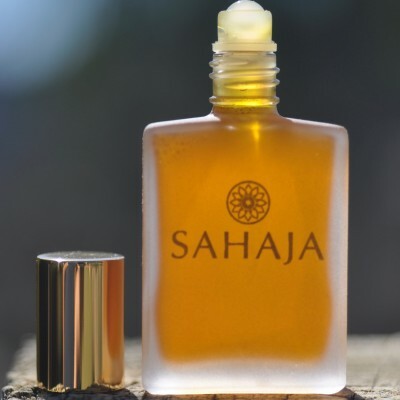 This eco-friendly hemp pouch with the SAHAJA logo is a beautiful, durable carry case that holds one 15 ml SAHAJA bottle or the entire collection of 2 ml MINI bottles. 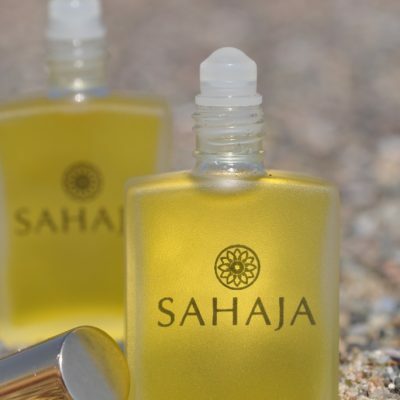 This eco-friendly hemp natural-colored pouch with the SAHAJA logo is a beautiful, durable carry case that holds one 15 ml SAHAJA bottle or the entire collection of eleven 2 ml MINI bottles. The pouch measures approximately 4 3/4 x 3 1/4 and has a zipper on the front. The SAHAJA hemp pouch is made in adherence to fair-trade practices and principles and is manufactured in the highlands of Guatemala by an indigenous Mayan family business. The SAHAJA logo is stamped on the front of the pouch in black or teal, whichever we have in stock at the time you purchase the pouch. Due to the artisanal nature of the pouch, there may be random small ink spots surrounding the logo–this is meant to enhance the organic appearance of the pouch.